You can manage your people from the People & Groups area, found by clicking on your avatar. 1. Go to the ‘People & Groups’ area. 2. 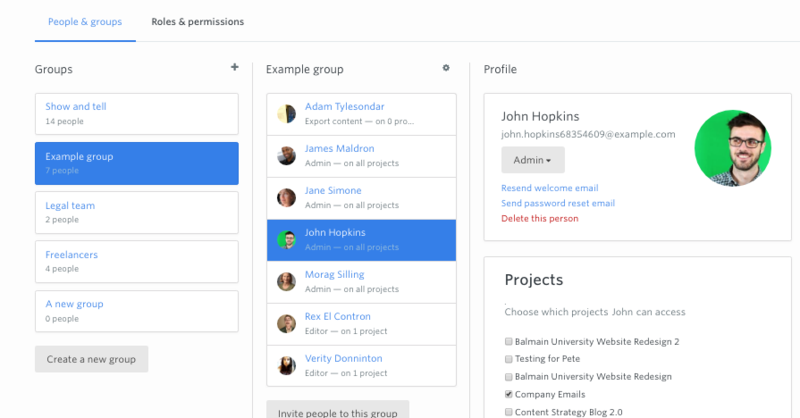 Select the person you want to add to a project. 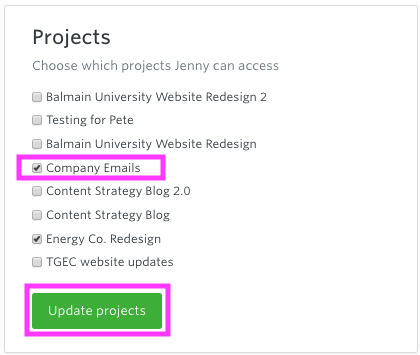 Select the project you want them to access from the list of projects & press save. Tip: You can manage everyone in your account from the People and Groups interface. You can learn about managing everyone in your account in this guide.